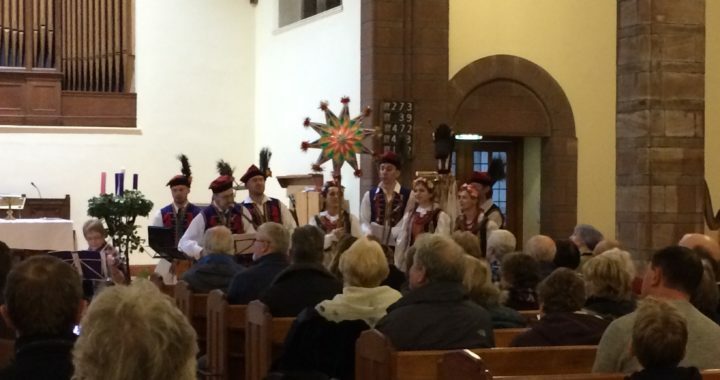 This year’s Christmas Carols Concert was held on 2nd December 2018 at Morningside United Church, which was an excellent venue for the concert. The concert was a great success and attracted a huge number of people. It featured carols both Polish and international presented by Polish Dance Ensemble “Ojczyzna”, Magdalena Durant – professional soprano and Alina Bzhezhinska – harpist. Traditional Polish pierogi and barszcz were served at the end. Watch out for more events coming soon.